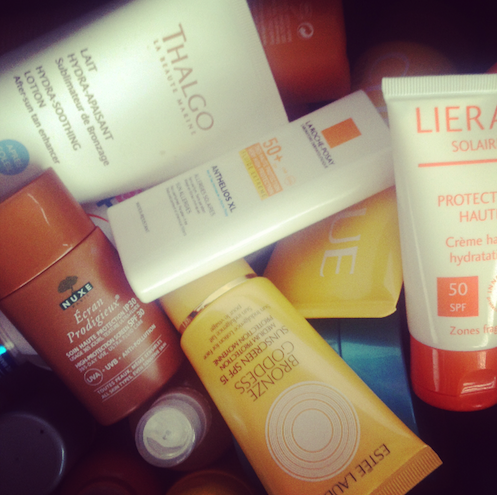 Summer SPF Reminder and Alpha-H Goody Bags! Just a quick reminder, because I haven’t yet put out my summer SPF posts: please please please wear a daily sunscreen if you’re using any products with AHAs or retinol or anything that sensitises the skin at all. I mean, wear an SPF anyway, but wear a very thorough one every single day if you’re using peels or acids. I know I’m a fan of all of those kinds of chemical exfoliant products and I wouldn’t want anyone following my recommendations and then forgetting to wear SPF! Also, if you’re trying to get rid of dark spots on your skin, best to try and get as little sun on your face as possible. I’ve been wearing a hat when I’ve been outside reading or whatever and I’m wearing a daily SPF30 or 50 if I’m out and about in town… If you’re stuck for SPF ideas then check out Alpha-H’s SPF50, Lancome’s UV Shield and the Anthelios range from La Roche Posay. I like all of those – no white cast and they sit well beneath makeup. On a sidenote: if you’re about to re-stock on anything Alpha-H then Cult Beauty are offering a nice little goody bag with spends of over £40. 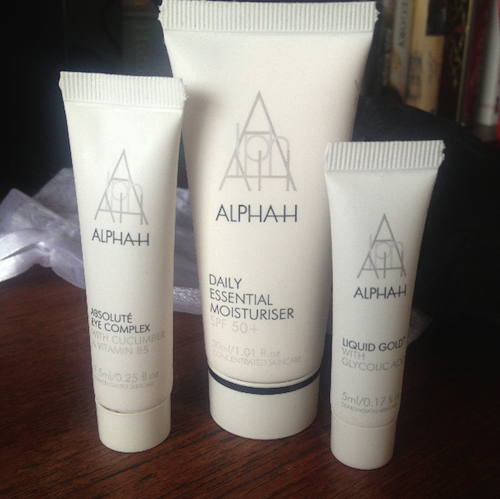 Inside it you get three of Alpha-H’s hero products: a 30ml Daily Moisturiser SPF50 (see photo above), a 5ml Liquid Gold and a 7.5ml Absolute Eye Cream. The equivalent value is £35 as it’s a half-size eye cream and a whopping great tube of the SPF! If you want to read about Liquid Gold then you can do so here.